The Anhänger (1-achs.) für Führungsfernkabel - trailer (one axled) for command-remote-cable - (Sd. Ah. 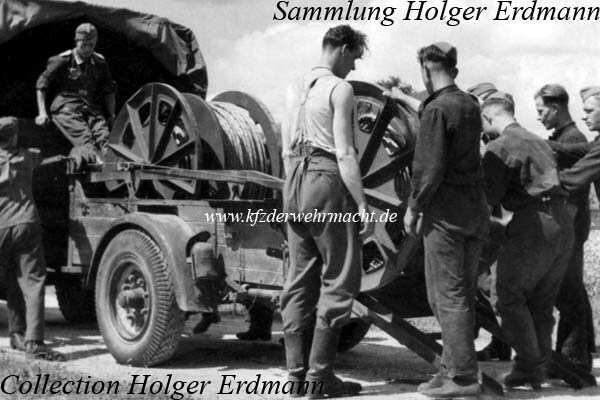 26) was used for transporting two cable reels with each 250 m commanding long distance cable with 14 pairs of conductors. It had a dead weight of 1120 kg and a total weight of 2500 kg.